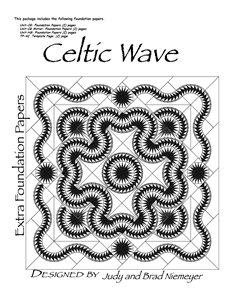 Bradley and Judy Niemeyer designed the layout and foundation pieces for Celtic Wave. 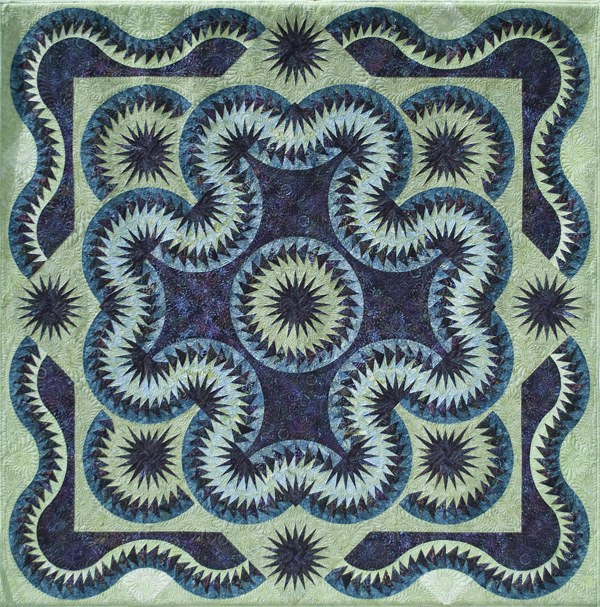 A collection of fabrics designed by Hoffman of Californa fabrics was used to make the quilt shown on the cover. Linda Adams I have the pattern, plan on making it in the future. 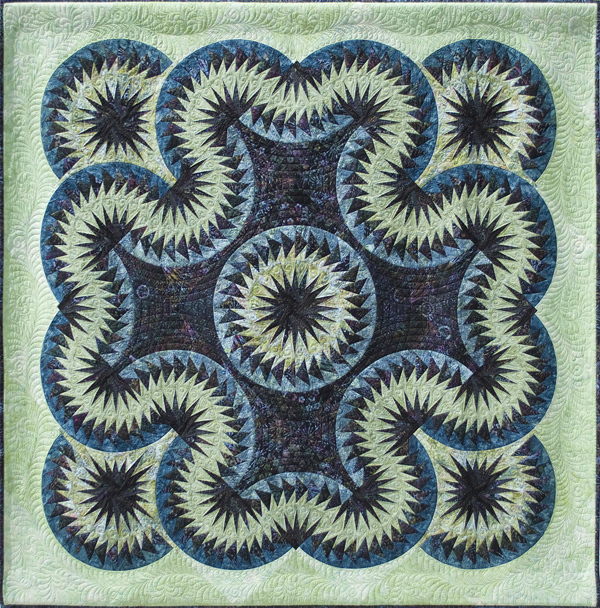 Celtic Wave, designed by Quiltworx.com, pieced by Cathy Calloway, and quilted by Connie Wilson-Muzi. Won First in Class (Quilted by Other), and a peer award ribbon at the Flathead Quilt Guild Show in Kalispell, MT. Jo Kobler Unbelievable. So well done! Lise Foley Just super ! Lise Foley This quilt has every thing. It is unforgettable. Debbie Minton I love your color wave, just awesome. Sonnya Moran beautiful. want to use your colors in mine. Holly Underschultz Wow! I have this one...Now I have to get to work on it! Pages 14 % 15 for 90" x 90"
90" x 90": Template #5 is the wrong size on the template sheet. 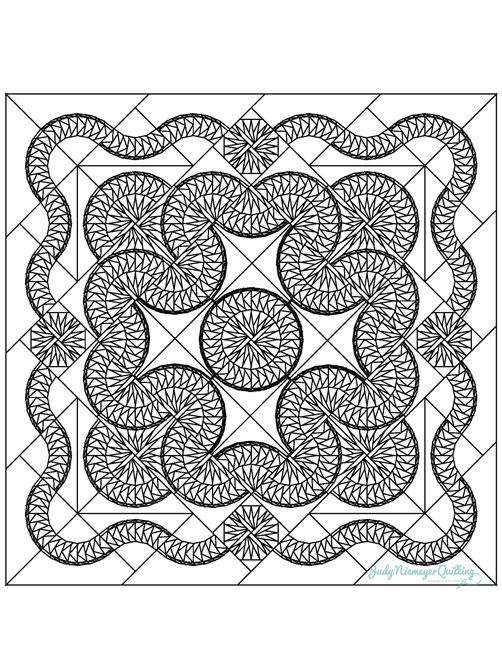 Template #5 is the same size as the Unit H so you can print this off or you can use a Unit H as a guide. Pages 3 & 16: 70" by 70"